This card has been made using the Pollyanna Pickering Wild Birds dvd-rom. I have used a 6″ by 6″ white scallop card which I folded into a Z card. 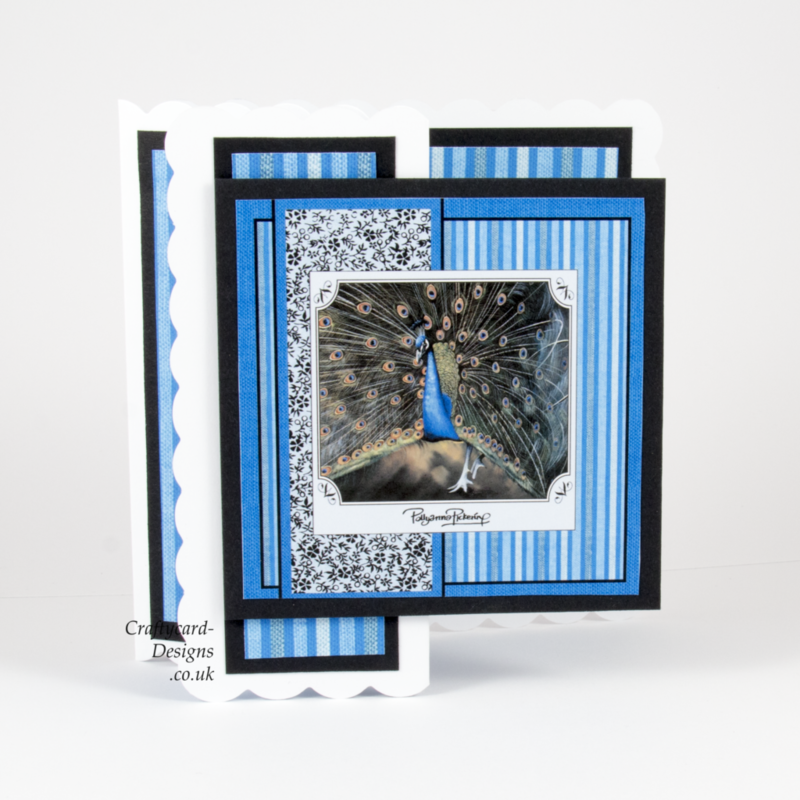 I matted and layered using black card with the patterned papers and image from the dvd-rom.